Thank you for visiting my website, my name is Arthur Edwards. I am a Freelance Emergency Medical Technician & Security Operative. 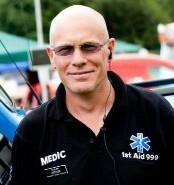 I trade & operate as 1st Aid 999, offering a First Aid Medic & a Security Service to anyone needing immediate pre-hospital first aid care & security help, whether that be as an event organiser needing a temporary first aider /medic or security person for their event/static site/mobile security, or an emergency service provider / ambulance service needing an extra first aider / medic, or security company needing an extra security person. I serve all of the U.K , travelling wherever needed, sometimes at short notice. 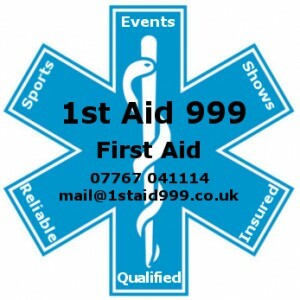 Following past demand, I now mostly specialise in providing single first aid cover for Small to Medium sized Events, Extreme Sports, Film Sets, Company Fun Days, Night Clubs as well as Tactical & Security work. My aim is to supply the highest level of emergency care and/or security at these. If you are organising a private or public event it is essential that you provide adequate medical cover. It is not enough nowadays to rely on the NHS Ambulance Service, you have a ‘Duty of Care’ under the law to your clients, competitors and spectators alike. Furthermore, in the current climate do you wish to risk being ‘sued’ if somebody does get hurt? I can work for companies that otherwise would have to take on full ambulance crews in order to fulfil their obligations of care. I myself am qualified in pre-hospital emergency care and experienced in providing first aid cover plus have full liability and malpractice insurance. 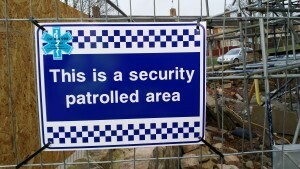 Should the need be there I myself am also a qualified and licensed SIA Security Operative. I can, and do, help meet the needs of many public and corporate events both for clients and private ambulance companies. I am an SIA Licenced and qualified Security Operative. I am available to cover a wide range of security duties including at Events, static guarding, mobile nightly checking and personal security work. The work can be either just in a security capacity or combined with medic cover. Please note that if you require medical and/or emergency assistance you should call 999 in an emergency & ask for the Ambulance or Police service.